Rock band London natives Mumford & Sons will be visiting the Jersey Shore this upcoming June 5th-6th, part of their Gentlemen Of The Road Stopover Tour. Seaside Heights summer traffic has been lacking since Hurricane Sandy hit it a few years ago. 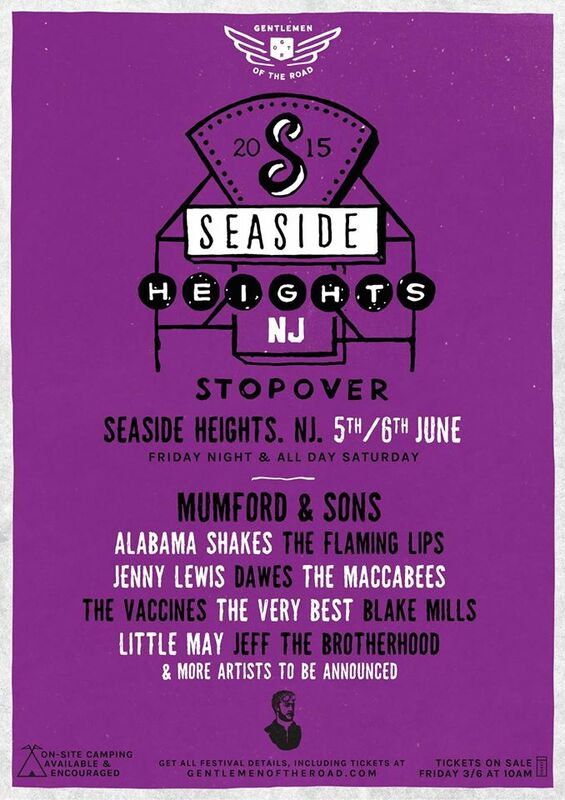 But with huge bands like Mumford & Sons and other great bands such as The Flaming Lips, Alabama Shakes, The Vaccines, The Maccabees and etc will be working with the locals during the 2 day tour stop by breathing new life into the Seaside Heights community. Also promoting their new album, Mumford & Son’s ”Wilder Mind” released May 4th. Alt Beast will be doing a full review of their new album next week!